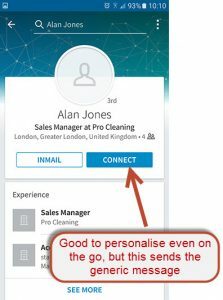 If you are not going to connect properly on LinkedIn then in many respects, it’s better not to do so at all – okay, that’s all a might harsh really, but as I mentioned in my post entitled Personalise your LinkedIn Invite, I really would encourage you to always, always write a message to the person you are contacting rather than just send out the generic “I’d like to add you to my professional network on LinkedIn”. Think about it – someone walks up to you at a networking event or a Conference. They don’t say a word … they just look you squarely in the eye and force their business card into your hand … then they walk off again. How would you react? Cherish that business card and resolve to call the person at the first opportunity … or bin it? Surely that’s just the same thing isn’t it? 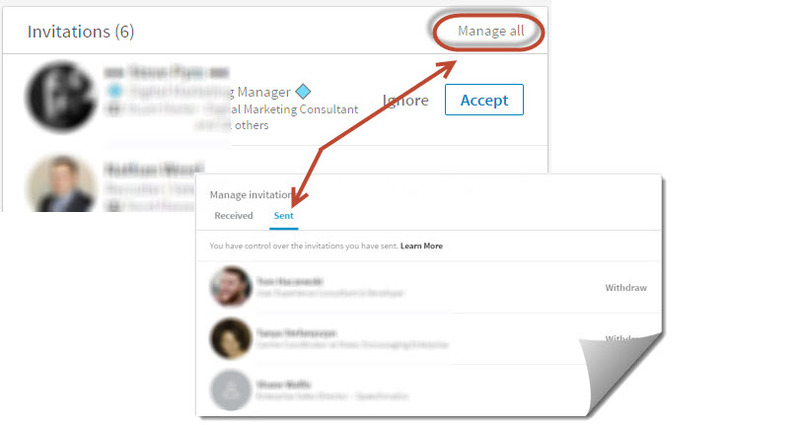 I do understand why some people are doing it though … because there are so many places on LinkedIn where we are essentially being ushered into sending the generic invite because of an inviting and highly visible “CONNECT” button tempting us in. So where does this happen so I can avoid it? Yep, you search for someone, find them in the search results and then get all carried away by the excitement and click on the inviting (pun intended) “Connect” button on the right – that carefully selected person now gets the generic invite and the moment to make that positive first impression is lost. 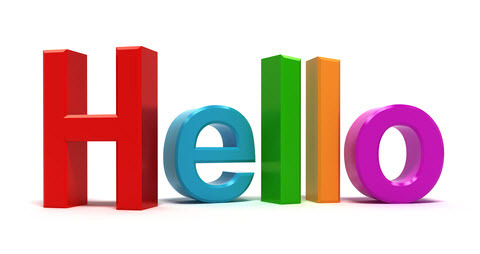 Here, someone has shown interest in what you do and has looked at your profile – which is great, by the way! Hopefully you are going to want to follow up and get in touch with someone who has checked out your profile and who has essentially left the LinkedIn equivalent of a “Caller ID”. 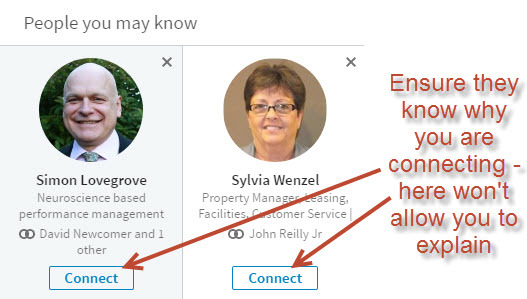 Asking them to connect is a logical next step but don’t do it directly from the “Who’s viewed Your Profile” page though …! That’s right, you’ll lose the opportunity to customise that initial follow up opportunity. Creating an environment where we can see potential contacts based on the network that we already have on the site is one of those key benefits that LinkedIn offers – it does a lot of the ‘grunt work’ for you by identifying people that you may know on the site. 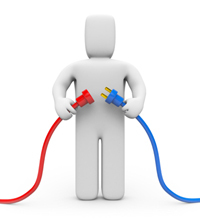 These should be 2nd level connections by and large and will be based on those people that you are already connected to and commonalities between them. However, here once again in aiming to aid the whole connection process, I fear the system encourages random clicking and sends the generic invite out from that button too. Now this is a little bit of a strange one, so do take care here. On the mobile app, things work a little differently. You still need to head for the person’s profile, that part hasn’t changed, but unfortunately here the BBCB (Big Blue Connect Button) unfortunately reverts to just sending the standard invite message automatically. There are two main places you can be sure of being able to add a message or customise it, one on the main website and the other on the mobile. Don’t forget to customise your invitation now by clicking on ‘Add a note’ – so much easier than the previous requirement to choose how you know them (or lie about it as so many of us had to do!). We now have an easier but still critical option using the process above. 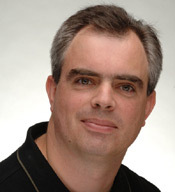 From the mobile, it is also possible, though the process is slightly different. As we saw in point iv) above, on the mobile the ‘Connect’ button does in fact send the generic message – so in this case, we are looking for the “little three dots” that offers so much functionality at various places around the site. You’ll find them in the top right hand corner of the screen and clicking on that gives you a menu which includes the option to “Customize Invitation”, again offering you 300 characters to do so. If by chance you wish to withdraw or cancel an invitation that you have already sent but not yet accepted, then you do have the ability to do so. The changes in the system earlier this year moved this around but if it still there as a function, although not that easy to find in all honesty! Anyway, you can cancel / withdraw them from there. 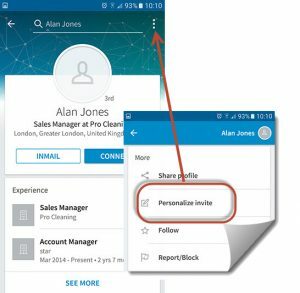 So, of course connecting on LinkedIn is good – yes, the title was a little bit of sensationalism, sorry – but do try to make sure that you get into the habit of doing so from one of the places where you can add your personal touch, a message which helps you to create that all important good first impression. This entry was posted in Advanced LinkedIn, B2B Advice for LinkedIn, Business Development on LinkedIn. Bookmark the permalink.